that the beta process will be just a confirmation that we are in good shape for official release. So we are not exactly happy that we have already passed two weeks of open beta tests for ETS2's 1.23 and ATS's 1.2 updates. But we never want to compromise quality because of time pressure. We are focused on providing you with game updates which is thoroughly tested and polished. Please have patience with us, cool stuff is on the way with this and more game updates in the future. 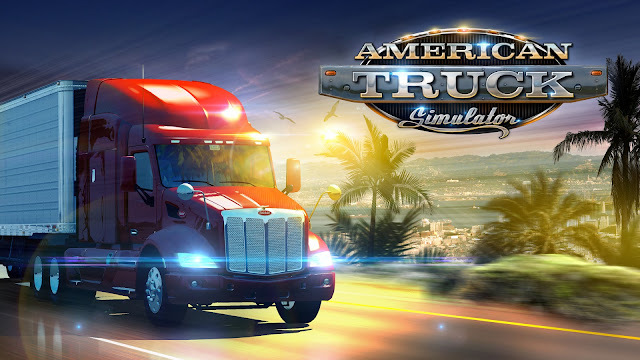 Meanwhile the ATS map team is hard at work on Arizona DLC, a free map expansion coming for American Truck Simulator. We are getting a ton of requests to show more of what we are working on. with a game or a new content update. But hopefully you will enjoy these a few new screenshots showing the new state! 1 Steam Workshop support coming! 1.20.x ETS2 Update 1.20 is live now!